I’m AhmadReza Hoseini from Alavi Association of Astronomy. 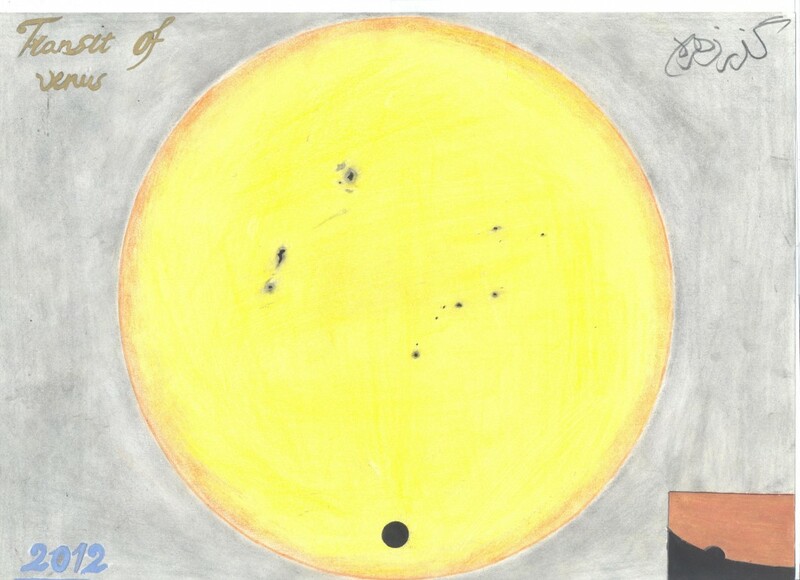 I and my َAstronomy students in Alavi high school in Tehran had a memorable Observation of Venus transit in 6 June 2012. This sketch from Ali BabaNalbandi is the best in students’ sketches. in addition, I attached some pictures of our observation for you. Excuse us for the delay in sending this sketch. We have got familiar with your site during this month and we hope to have better communications and interactions with you in future. Ali’s sketch is beautiful and well done! Thanks for the photos – I can see you are an inspiring teacher to these young budding astronomers. Keep up the good work there in Tehran. your photos of the astronomical activity is very interesting. I believe you’ll be very nice teachers of your motherland and your country.